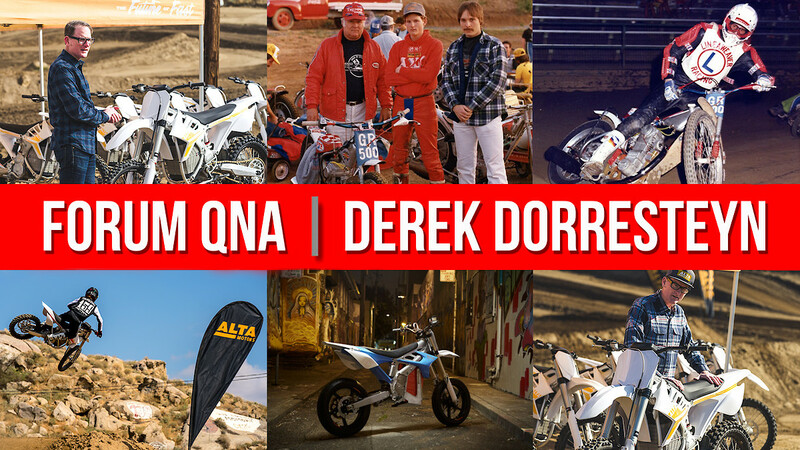 This week's guest in the Vital MX Forum QNA is Derek Dorresteyn. Coming off the heel of big announcements like the massive lowering of price and the new Redshift MX-R, we though it was about time we got Derek in here to talk about Alta Motors, where the design came from and his background. Do you have some technical questions about the Alta Motors Redshifts? How the development went and the product itself came about? His background in motorcycling? Bring your best questions, and he'll be peeking in here this week to answer them. As always, keep it respectful, and ask questions that you would like in a face-to-face meeting. If you want to see previous Vital MX Forum QNAs, click the Forum QNA tag below the subject line. Just my opinion, but I would like a motor that only lasts 20-25 minutes, that is quick charge and/or replaceable with a unit at the track. A smaller 'top-end', that's much lighter would work great for the mx guy at a track, doing shorter stints, with frequent 'breaks'. Would an electric motor seem feasible in a Speedway application down the road? More so for shorter tracks like Costa Mesa, Gold County, Industry etc? "A link is only as long as your longest strong chain"
Will Alta ever release an app or tool that will allow owners to create custom power curves and engine braking (regen) curves, customize the throttle roll-on, etc? Derek, does Alta plan to release yearly models, or will you take two years at times for developing new models, etc.? Any tips on when the next demo day will be in SoCal? Thank you Derek for your time. I'm a huge fan of Alta and very much look forward to future products. 1. What has been the biggest challenge for Alta? Was it the technical development, overcoming perceptions, setting up a dealer network, sourcing suppliers? 2. Your battery claims 185 Wh/kg, compared to Tesla's new Powerpack 2 at 130 Wh/kg. What is different in Alta's approach to batteries? Is it mainly due to less restrictions (no crash testing, for instance), or something else? 3. What traditional motorcycle parts (i.e. suspension, wheels, tires, etc) has been the most challenging to adapt to the Alta. I would've thought it was the suspension, but I've also heard the tires have a hard time with so much torque. 4. What would it take to make a Redshift with a quick change battery pack? 5. Related to #4, are you guys interested in giving the Baja 500 a shot? I first want to thank you for all the time and effort you put into making this happen, when a lot of people thought an electric MX bike was impossible. The first couple years of products offered by Alta has been very impressive, but the list of people willing to export them is pretty small. Are you able to share what your timeline is to getting distribution in to Canada and the rest of the world? Do you have any cool super secret concept parts that you can show us? Thanks for the into Michael! Hello Everyone, thanks for the interest in Alta, I'll do my best to answer your questions, I'll check in a few time a day so bear with me if I don't get an answer in immediately. I think you mean battery not motor and it is possible to build packs of various sizes for various applications we have tried to "right size" the pack on the Alta MX and MXR to deliver both the power and run time that MX riders expect. The new MXR is also capable of a much faster charge rate, something that, if you have power or a generator, greatly increases the amount of riding you can do in a day. So it's possible but there is a trade space and development cost associated with making different pack configs and none are currently offered. We have done a bit of testing and racing of an Alta Redshift in dirt track trim and it is competitive and showing good potential, we plan on doing a bit more dirt track in the upcoming months, look out for that. From my intro you can probably guess that speedway holds a special place for me and there is real potential for a drive train like the one we have developed to be competitive in a speedway chassis but unfortunately that is not on the current company road map. Maybe that should change!. Derek: Has Alta done any type of sound study to show how much quieter the Alta is vs. Internal Combustion Engine motorcycles? We don’t understand how noisey we really are because it’s music to us! Measuring sound levels of a moto with 10 ICE motorcycles vs. a duplicate moto with 10 Alta motorcycles can prove that Alta can save riding areas (and open others) by eliminating noise complaints. This could reveal how much distance is necessary between a track and the property line to meet an example noise ordinance with ICE vs. Altas. Also, I’m an acoustical engineer in the Bay Area and I study noise issues just like this. Can't wait to ride the bike! Alta has spent a bunch of time thinking about ways to improve control and competitiveness ( like the on the flay changeable maps now offered on all bikes) and consumer tuned maps is certainly one of them, expect to see more consumer customization being offered on Alta's bikes in the future. A question that we constantly ask our selves is "does it make fast?" The aftermarket parts and the tuning and repair services segment of the supply chain are critical to the entire moto ecosystem. So far electric seems (or has been intentionally positioned as) like a black box that just works. How do you see that part of the industry responding to electric? What about the home mechanic that wants to tune and play with it? Where do the Pro Circuits and Factory Connections go with it or is there a gap for new entrants to make a move? Or do we all rely on our local Alta dealer to do everything? Alta continues to invest heavily into new product development and intends to lead in both the technology of electric motorcycles and in competition bikes. I can't comment on the specifics or timing of new model releases but I'll say that we have not laid off the engineering team!. Please sign up for a demo on the website (www.altamotors.co) and you will get a slot reserved for a demo ride at the Trans Am Vet Classic at Glen Helen this weekend, we will be there in force with MX and MXRs to demo. That's a lot of questions! Let's dig in! 1. Biggest challenges: not sure where to start but we set out to build a better motorcycle, and not comprimizing there is #1 but it's also been a big lift to build a company, develop and test a complete EV drivetran to automotive standards from scratch, and to build the manufacturing systems and a distribution network. We are now 90 strong and have 50 dealers nations wide and are adding personnel and dealers almost daily. The sum of all that has been the hardest thing!. 2. Batteries: Alta's first product is a competition motorcycle where weigh and power density are supremely important, we focused on getting the highest density cells (just like Tesla) and minimizing the rest of the battery packaging as much as possible , it also helps that we did not need to meet all the DOT car requirements as you mention but we have set and met industry leading safety and quality standards and we have a great design!. 3. We have not had much trouble adapting traditional motorcycle parts, we did end up with some suspension settings that are a little different due to how power is put down but generally not many problems in that area. We have not done a study like the one you describe not do I have a current quantitative measure of one of the bikes. I can tell you that it's much quieter than a gas bike - no surprise. The single biggest challenge that off road motorcycling faces is the loss of riding areas due in large part to noise complaints and lawsuits. We have many customers that ride on small plots of land in heavily populated areas with no problems, this is one of the great features of an Alta Redshift. Derek, YES! Thanks! Keep it up! #1 Is there anything that your mom doesn't remember? She ID'd a bunch of people on flat track pictures of my dads that my mom couldn't. #2 Does Jeff Sand still skate? #3 Didn't really have any real questions so I'll make one up on the fly. When are you going to make a 65 and an 85 replacement. There's going to be a big hole real soon, two of my sons riding buddies are on electric bikes a Kuberg and an Oset. #1 My mom has a great memory! #2 Ha Ha , I think Jeff rides more dirt bikes that skateboards there days! Both dads are trying to figure out what to do when they outgrow them, both kids wouldn't ride 50s because of the noise. Thanks for taking our questions Mr. Dorresteyn! #1 - Do you see Alta making recreational dirt bikes in the future, not just race bikes? #3 - Why no clutch or transmission? With the recent signing of Ty Tremaine for off-road racing is their plans to develop the Alta to be able to race a 3 hour hare scramble? Alta came out I believe a year ago for the District 36 PCGP in Sacramento and we had a local kid on the Alta as the hare for the pro race, I believe he was able to do 2 laps maybe 30-40 min before he was caught. Just curious about what the plans are for off-road since the races are a lot longer then a 30min moto and you guys have a rider. Thanks for the kind words!. We intend to reach the Canadian market but the exact timing is still undefined. We have bikes in Israel and next up is Europe where we are seeing a lot of demand. 1. Are there any plans to cool the battery as well? I have read that the battery overheats while using the Alta as a supermoto on a asphalt track. 2. When do you think you will get real competition from the jap/eur brands? 3. Can you keep up making enough bikes for the demands right now, and do you think you can keep up the next few years to produce? I really wish you the best with Alta, great to see a company like yours!! 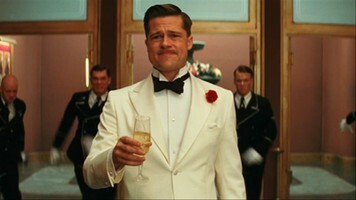 And good luck with your deal with HD, i think that is a really good move for both parties . Modern digital devices are all somewhat "black boxes", there are a whole list of reasons why companies like Apple or Alta keep the core software under wraps- for us it's safety. There is still plenty of things to work on like tires, chains, suspension, linkage, and bike set up but no more "rebuilds". The industry will adapt, I don't really have a prediction of what that might look like but it will adapt. As far as the home mechanic goes the digitally driven motorcycle will unlock more ways to customize, tweak, and improve power delivery or lap times and it will be far easier and less expensive. I'm sure the Pro Circuits and Factory Connections of the world will always find great way to add value to motorcycling. #1 The Alta Redshift MXR comes with 4 maps that increase power incrementally. Map 1 is something like a 230 4 stroke trail bike and map 4 like a 350SXF, in this instance it's many bikes in one and very versatile. We will do our best to address larger parts of the market with more products and more economical trail bikes are certainly a possibility. #2 Not sure, our systems as they exist cannot be modified. #3 Please test ride the bike, with peak torque from 0 rpm the need for a clutch and gears is removed, freeing up more cognition for riding instead of managing the machine. We are striving to offer bikes that meet the needs of the biggest group of riders that our tech will allow us to reach and unfortunately while the bike works great in applications like a hare scramble we cant do that pace for three hours. We hope we can get there with future products!. Ty will be focused on Extreme Enduro and Endurocross, look for an exciting announcement some about some upcoming races.